Point-Factor Analysis: What is it and why is it necessary? "Not having a formula for compensation is a scary thought, and if not addressed, you can really let compensation dollars get out of hand and experience pay complaints, potentially even EEOC complaints." Is your compensation structure at your organization out-dated? Is your structure based on the same methodology that was there when you started at your organization? Do you know if there is any rhyme or reason to it? These are all very relevant questions, and often times, this is exactly what is going on at organizations. Compensation is an art, and if you do not have a lot of time to devote to that area, you may have some inequities that need to be addressed. However, it is not too late to make it right. A point-factor analysis is one way that you can approach this issue. Remember, not paying competitively enough is not what gets employers in trouble. Fair pay is where the problems arise. On October 25, 2010, the OFCCP sent a Notice to the Office of Information and Regulatory Affairs (OIRA), a branch of the Office of Management and Budget (OMB), which would rescind its systemic compensation discrimination standards. Director Patricia Shiu had announced the plan to rescind these standards in a keynote speech at the National Industry Liaison Conference on August 4, 2010. The agency has already informally stopped following the standards that were used, even though a formal withdrawal is not yet official. After the OFCCP sent the Notice to the OMB, the next step will be that the OIRA has to review the drafts of final and proposed agency regulatory actions before they are published in the Federal Register. It is unclear how long this process will take. It could take weeks, months or even years. In addition, the OFCCP has not announced what the proposed replacement to the standards will be. So what does this mean for Federal Contractors? Internal equity is key. Being proactive in establishing a fair, objective and consistent pay structure is essential. SHRM quoted David Cohen, President of DCI Consulting, and he said it best. "The OFCCP can rescind its compensation standards, but it cannot rescind Title VII case law, which requires multiple regression analysis." Contractors that already are conducting proactive analysis using SSEGs and regression analysis should "stay the course," fix problems when they find them and, if audited, "stand your ground." DBCompensation has an automated job description writer, a preloaded library of 1,100 job descriptions and a point-factor system tied to your job descriptions to establish internal equity. It also serves as a live database to maintain market data for you. DBCompensation integrates all of these different items together to establish salary ranges that are internally equitable and externally competitive for your entire organization eliminating guesswork. In addition, DBCompensation produces a number of different outputs that analyze your pay practices. The system calculates minimum, midpoint, maximum, compa-ratio and much more. Please join us for this online meeting to learn more. Creating and maintaining job descriptions can be a time-consuming task. With our electronic job description writer, it can now be done in a fraction of the time. With a pre-populated library of over 1,100 job descriptions, this is a tool that you just have to see. 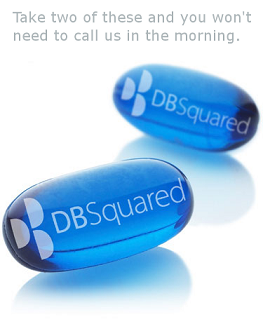 Sign up today for a complimentary demonstration of DBDescriptions. Register for one of our upcoming webinars! Reserve your seat now. Space is limited. Congratulations to Our DBDescriptions Winners! If you see your name listed above and you have not claimed your free, annual subscription to DBDescriptions, please call our office to set that up. (479-587-0151) Thank you for participating in our October Facebook Promotion!